The “digital workforce” may sound like science fiction, conjuring up images of lines of robots running through an office. In truth, the digital workforce is a tangible reality. But, rather than teams of robots, it involves a more promising environment with people, automation, and artificial intelligence working side by side. This hybrid workforce is coming to life thanks to businesses that recognize the transformative potential in automation and AI. In a study by Genpact of 300 C-suite and senior executives, 79% of AI leaders – the companies generating impact from AI – expect their employees to be comfortable working alongside robots by 2020. Moreover, in a related Genpact survey of workers, 40% said they would be comfortable with robots in the same timeframe. Such human-and-machine collaboration is what defines the next generation of work, which sees intelligent systems taking over processes, augmenting human tasks, and creating new jobs. As AI and automation can radically change operations, businesses need to put considerable thought into change management and planning. This is a critical step. When overlooked, it leads to business disruptions later in operations, from new digital tools and staff. In a rush to get systems deployed, some forget that processes do not exist in a vacuum, but instead involve triggers and exchanges. For instance, a minor change to a CRM application can throw off robots working with income statements further down the line. Companies need to map out how various bots and systems will work together to prevent roadblocks. On the human end, leaders need to communicate the coming changes well in advance so people understand the impact and prevent any dissidence. With a human workforce, companies can easily see when employees clock in, clock out, or do not show up for work. With robots, it becomes more difficult to track if there is a glitch or sudden change that stops them from working. For instance, if a password change prevents bots from logging into an application, not only does the work come to a halt, but it may also go unnoticed for a period of time. Companies need to be able to see who/what is working, what they are working on, and whether or not they are effective. A potential solution is to develop a “visualization dashboard” to oversee automated operations. A dashboard can provide a single view of all robots, intelligent automation, and workflow orchestration. Managers can then easily monitor performance, tasks in queue, and process completions to ensure maximum performance and productivity. There is a misconception that AI is more mature than it is. Understanding how far businesses can go with deploying AI, and being aware of its limitations, can help with managing digital workforce planning and knowing where people with domain knowledge need to step in. For instance, any automation requires an understanding of the different exchanges within a process, which only comes from prior experience. The intersection of domain knowledge, AI, and creativity is what will drive success. Companies need people who can apply and translate their experience in meaningful ways to digital applications. On the other end, AI and automation can elevate and free people, like IT staff, from repetitive, common tasks, allowing them to take on more strategic jobs focused on growth. Organizations will need to reskill employees with digital know-how in addition to their requisite knowledge. This not only results in greater talent, but also better employee goodwill and engagement. At the same time, they should have focused recruiting programs looking for “bilingual” people who have both domain and digital knowledge, and can bridge the connections. To avoid unintended outcomes, it is up to humans to identify potential biases and monitor the machines. Diversity in the teams working with AI can help. Bringing in team members with different skills and approaches can drive more ethical AI and help train the machines to avoid negative ramifications. From the outset, it is critical for businesses to design a framework in which the digital workforce will thrive, while pairing it with smart change management and governance approaches. People and machines will be equally important, combining domain knowledge and context with AI and automation. Companies will need to invest in nurturing a culture, training, and strategy that enables these intersections to happen and guide a successful hybrid workforce. 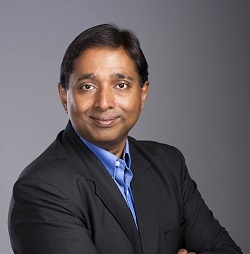 Sanjay Srivastava, is chief digital officer at Genpact, a global professional services firm focused on delivering digital transformation.